Recently Princess (11) took part in the Australian History Challenge for year 8 students in Australia. The History Teacher’s Association run 2 competitions every year, one for year 8’s and one for year 10’s. Princess is only in grade 5 but I wanted to enter her in the competition so that I could get an estimate of what we needed to look at and focus on in regard to history. It didn’t cost much to enter, so I figured it was a cheap way to get an idea of where she may be at. We received her results a couple of weeks ago and she came equal first in Australia for grade 8 and first in Victoria. I must confess, I was flabbergasted. What do they learn at school then? Thus, this blogpost is to give you a bit of an idea of how our family has covered history so far. Formal studying has not been a big feature of our homeschooling journey so far. To be truthful, we have barely done any formal history so far and I had been feeling guilty that if she was at school she would have covered a lot more history. When I was beginning our homeschooling journey, I went to a homeschooling seminar where an American lady, Diana Waring, was the guest speaker. She told the most wonderful stories from history and in such a great manner that I bought her CD set, “What in the World?”. Unfortunately when we went to listen to them, we found it extremely hard to listen to her voice. Something about the way she talked just grated on us. Thus, those CD’s have just sat on the shelf. Last year we commenced studying a few chapters of the history curriculum “The Mystery of History” by Linda Lacour Hobar. This is the Christian history textbook as opposed to “The Story of the World”. It seemed wonderful but we took a break after a few chapters as we became too busy with our ‘Books4Cambodia’ project and that seemed to overtake the schoolwork. We need to get back into studying that again this year. It appears to be a great curriculum. I believe that knowing history is so important. Winston Churchill’s famous quote about “those who fail to learn from history are doomed to repeat it” seems very applicable today in what is occurring in Iraq and Syria. Audio: I believe my children have probably learnt far more about history from these audio tapes than anything else. 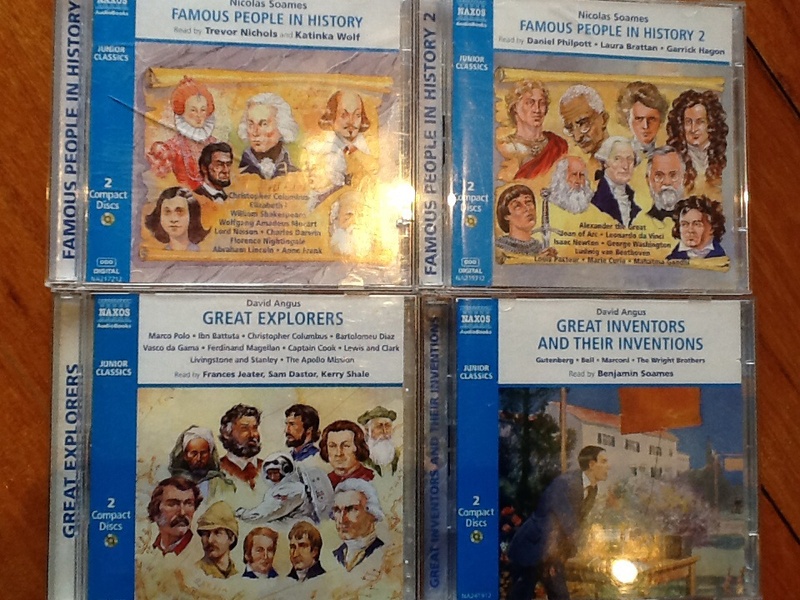 I must admit, there are times when we are travelling in the car on long journeys (2 hours or more) when I get absolutely sick of listening to historical stories, whether about famous inventors, great explorers, famous scientists etc, but as soon as I go to turn the CD off, the kids complain. They get totally hooked on listening. Matey (8) in particular loves it and can recite the funny stories. I must admit, I have learnt far more from listening to these tapes than what I learnt in history at school. We bought the CD’s from www.bookdepository.com Apparently you may be able to download the audio’s from a far cheaper source (the CD’s range from $13-$17). 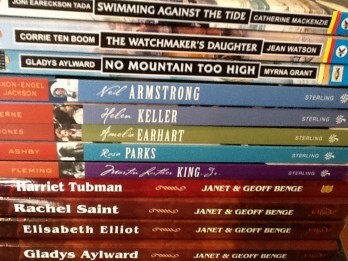 I put them on my wish list on bookdepository and wait until they come on sale. DVD’s: our children love watching DVD’s connected with books. Ben Carson’s “Gifted Hands” was brilliant, as was “Inn of the Sixth Happiness”, based on Gladys Aylward’s life. Our children tend to remember so many more details about the person’s life if they have seen the movie than just read the book. 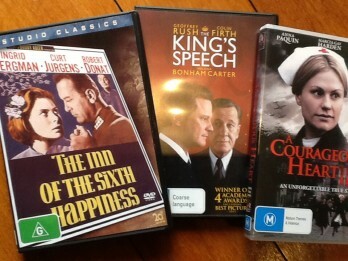 “The King’s Speech” was brilliant, apart from being rated M and having some coarse language. Princess is fascinated with royal history, and this movie portrayed some fascinating details about Bertie. “A Courageous Heart” is based on the true life story of Irena Sendler, a Catholic social worker who rescued over 2,500 Jewish children and babies during the Nazi occupation of Poland. Anne Frank is the latest favourite in our house with the various Anne Frank books being read and the movie watched. Books: our children devour books. 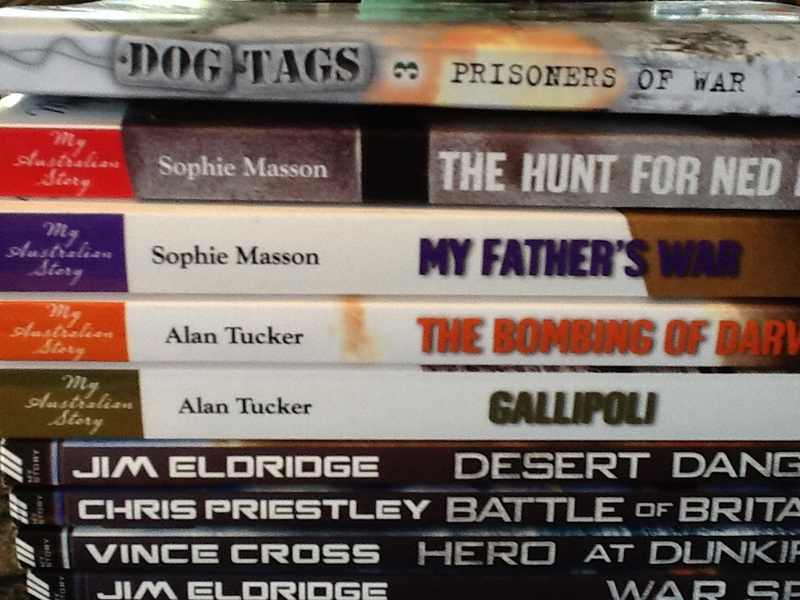 Matey loves non fiction books and books about war and different times in history. He also loves books about people in history. Princess loves biographies and stories about people, plus anything to do with the royal family. I believe that their general and historical knowledge is expanse due to their extensive reading. I am always on the lookout for new books for them, interesting series of books etc. I source my books from op-shops if possible, or the library, otherwise scholastic on special or bookdepository or Koorong or Word. If you are a homeschooler, you can access Scholastic books by sending them a letter requesting to join their membership and including a copy of your homeschool registration letter. I google www.booko.com.au to find where the cheapest place is to buy books from, including postage. 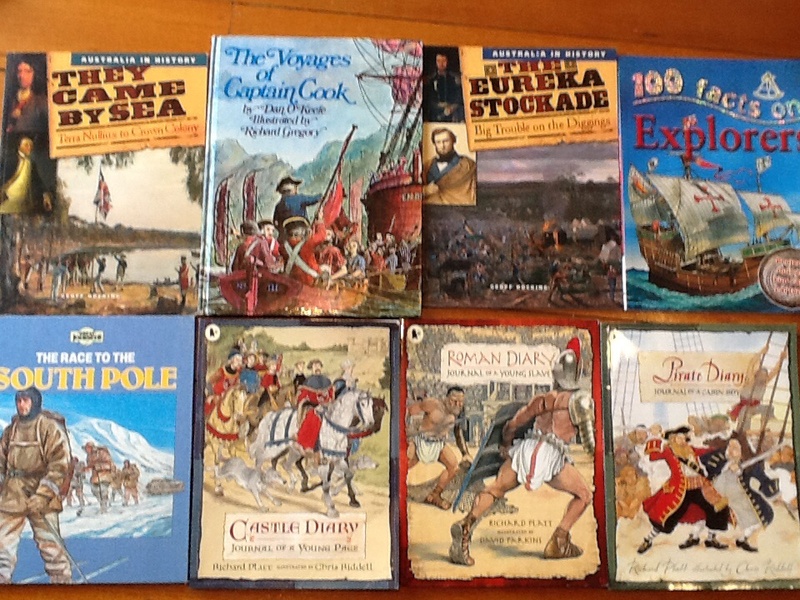 A great series of fiction books based on historical events are the “My Story”, “My Australian Story” and “My Royal Story” series. The historical details that the kids pick up from just reading these books alone is fantastic. There is also a series of Australian books for girls aged 8-12 about girls at various times in Australian history, called “Our Australian Girls”. There are 4 books about each girl in a period of Australian history and it is interesting to read how she copes with various trials during her period of history. There is also a younger version of Christian hero books under the “Trail Blazer” Series that are great for Christian biographies. Personally, we found the YWAM series more interesting to read. 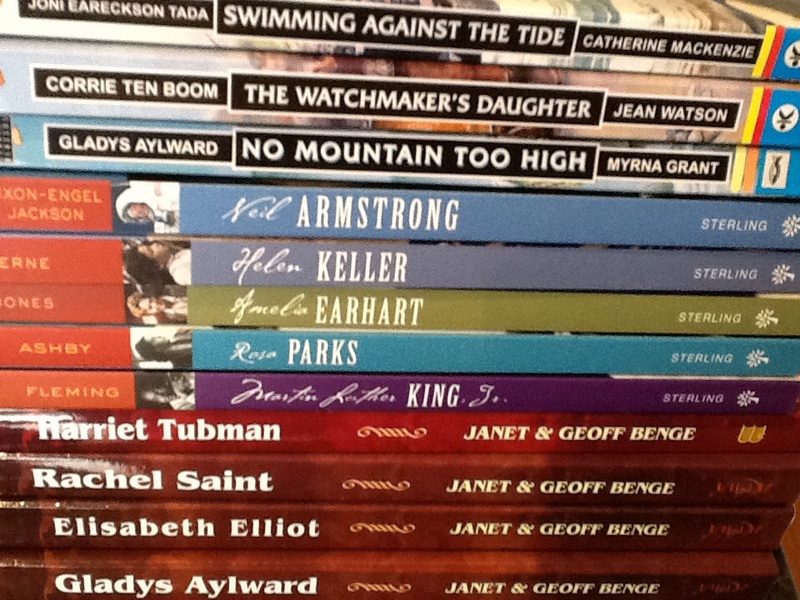 Matey in particular loves nonfiction books and also fiction books based on various events in history. 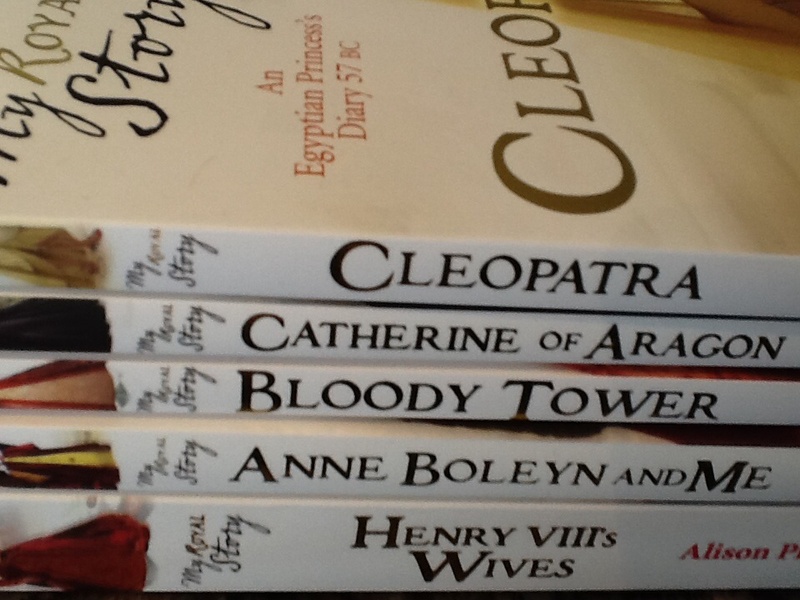 Favourites include the Diary Series – “Roman Diary: Journal of a Young Slave”, “Pirate Diary: Journal of a Cabin Boy”, and “Castle Diary: Journal of a Young Page”. Both Princess and Matey love series of books. Lois Walfrid Johnson has been a huge hit with her “Freedom Seekers” series about the life of some children and ex slaves in the Underground Railway and that time in American History. She has also written some novels for children slightly younger (suit 7-9 year olds, particularly boys) called the “Viking Quest”. Her novels are Christian based and present thrilling reading, based on various times in American history. She also has a series on the early American settlers going west. 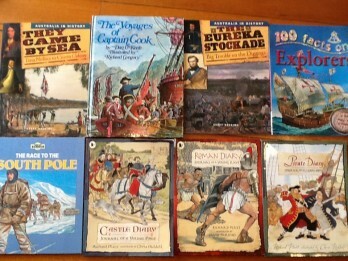 Australian history books have included “The Voyages of Captain Cook”, “The Goat who sailed the World”, “Captain Cook’s Apprentice”, and the “Australia in History” series covering the Eureka Stockade, Burke & Wills, the Gold Rush, the settlement of Australia. 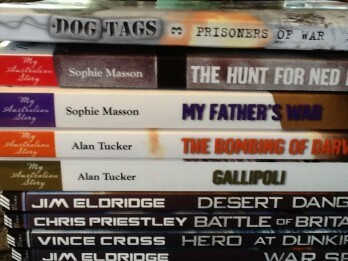 I have found that the library and Op shops have been great places to pick up great Australian books. If we are staying for at least a week at a place on holidays, we usually visit the local library. They will allow you to get books out, despite not being from that area. Maroochydore in Queensland has a fantastic children’s section – a huge range of ‘learn to read’ books but also a great range of kid’s non fiction. Our kids love visiting that library as it is so well organised and easy to find books. 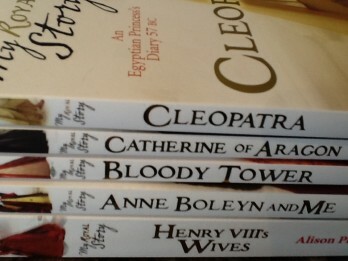 They have a great range of “Horrible History” books as well. Games: Apparently there is a great card game called “Timeline”. I have looked at purchasing it (around $17-19) but the postage is $10, so I am waiting until I am near a great game shop that stocks it as our local game shop has closed down. It has ~110 events from throughout history and it is a race to see who can place their cards in the correct chronological order. The oral game “20 Questions” is great to play also with kids about historical events and people to increase knowledge etc. Visiting places: When we have travelled and been on holidays, we will often visit areas of historical significance or tourist places set up to recreate historical events. Sovereign Hill in Ballarat, Port Arthur in Tasmania, the Beaconsfield Museum highlighting the Beaconsfield mine disaster but also a brilliant ‘hands on’ historical museum near Launceston in Tasmania, the Australian War Memorial in Canberra, the Old and New Parliament Houses in Canberra, the Genocide Museum in Phnom Penh, Cambodia, Nelson Mandela museum and the Apartheid Museum in Johannesburg, the list goes on. In Melbourne, our home city, our children never tire of visiting the ImmigrationMuseum and learning interactively about the life and process of immigrants leaving their homes and travelling around the world. We find that our children love making things and discovering things about history. They tend to remember a lot this way. Thus, our family have found that general life, reading great books and discussing them and using our travelling time to listen to audio tapes on history, have enabled the children to begin to have a well rounded education on history. History Exam: In regard to the actual history exam, the questions were all multiple choice. Learning to pace yourself in an exam is important. Questions on this year’s history exam included being able to recognise a pyramid from a picture and also pick that it was in Mexico not Egypt by the surrounding countryside. Comprehension is so important and there were a number of questions where you had to determine which statement was correct from the information given. Interpreting tables and graphs and data were also crucial to get correct answers. Other questions included which historical period was the Roman Empire at its greatest extent in Western and Eastern Europe, the correct chronological sequence of empires that occupied Turkey, examples of secondary sources and primary sources, matching significant people in European history (Leonardo Da Vince, Isaac Newton, Herodotus, Nicolaus Copernicus) with their time and place. Recognising that a samurai’s position in Japan was similar to a knights position in medieval society, recognising a picture of a mosaic, knowing that Vikings originally came from Scandinavia and not Russia, America or Mongolia, where the original Magna Carta was signed (England, Australia, USA or Rome), knowing where the Holy Land is, and being able to match the definition of the words evidence, perspective, empathy and contest ability with their correct definition. Also, being able to deduce the answer from the information given was important. An example was a question on which emporer ruled China during the Qin Dynasty (choices included Kublai Khan, Qin Shi Huang, Kangxi, or Wu Zetian), the correct answer being Qin Shi Huang. I have learnt so much about history from listening to the audios, watching movies, and reading books. My children have picked up this love of engaging with the world and its past. I hope you enjoy learning about the past as well, and how it can affect our future.